Just a decade away from its centennial, the historic building that is home to Summit Artspace on East Market has been a witness to the Akron story. Summit Artspace Executive Director Kamelia Fisher felt it was time to recognize the building’s architectural beauty and significance with a mural project. She enlisted the help of artist Don Jeffrey of Kenmore who has been documenting area historic sites in watercolor and ink for the past several years. 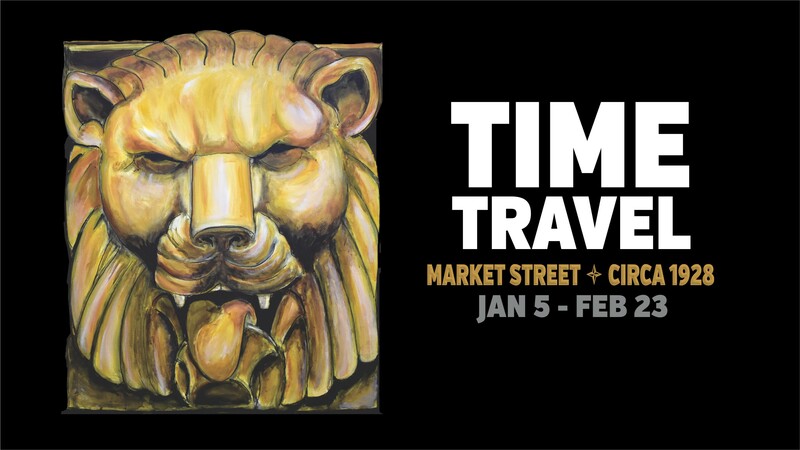 Time Travel Market Street Circa 1928 opens Saturday, Jan. 5, with a free reception, 5-8 p.m., at Summit Artspace on East Market, 140 E. Market St., Akron. 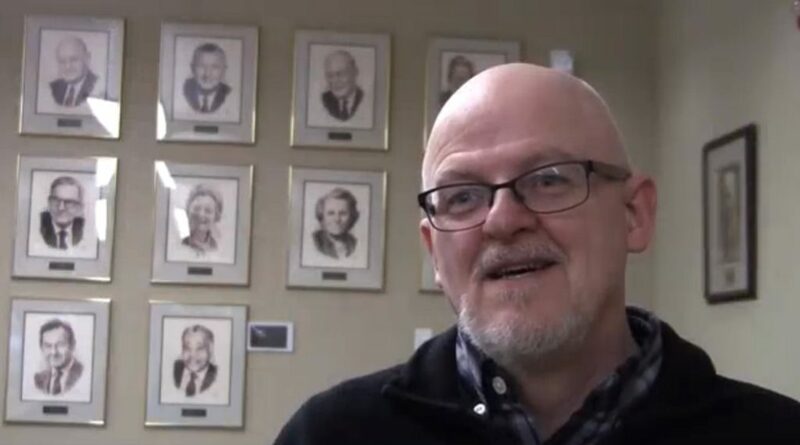 The mural of the original home of the Akron Beacon Journal newspaper constructed by John S. and James L. Knight will be unveiled at 6 p.m.
“Over the years, the building has had many different uses. As a center for art galleries and arts and culture education now, it seemed appropriate for Summit Artspace to share the building’s past as an architectural and historic icon in downtown Akron through the visual arts,” said Fisher. The mural is a step back in time to the year the building opened, 1928. The large scale artwork will be hung opposite archival photos of the building interior when it housed the newspaper. It will be on display continually in the building. Jeffrey’s work for the project is comprised of six large canvasses: Four that depict the building and the street in 1928 flanked by two canvasses featuring the sculptural forms that rim the building, a magnificent lion and a sentinel. The lion was chosen for the show image. Watch a recent video about Jeffrey by The Akronist. Summit Artspace’s galleries are open Thursdays and Fridays, noon to 7 p.m., and Saturdays, noon to 5 p.m. Additional hours include Artwalk on Jan. 5 and Feb. 2, 5-9 p.m., and for 3rd Thursday, Jan. 17 and Feb. 21, 4-7 p.m.